When Ancestry Search Led To Escaped Slave: 'All I Could Do Was Weep' Regina Mason's great-great-great-grandfather, a man named William Grimes, was a runaway slave and the author of what is now considered to be the first fugitive slave narrative. "William Grimes' narrative is precedent-setting," Mason says. "[It] was published in 1825, and this was years before the abolitionist movement picked up slave narrative as a propaganda tool to end slavery. It sort of unwittingly paved the way for the American slave narrative to follow." 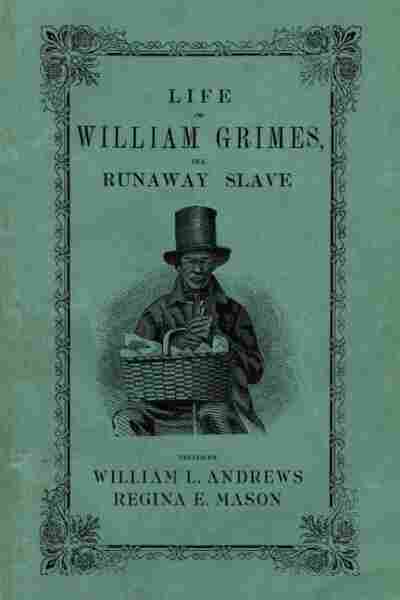 Life of William Grimes, the Runaway Slave was again republished in 2008 by Oxford University Press. The latest edition was edited by Mason and William Andrews, a scholar of early African-American autobiography. Mason hopes the latest edition of her ancestor's story helps keep alive the memory and stories of the millions of people who were enslaved in America. "So often we're told, 'Forget about slavery. That happened so long ago. Get over it,' " she says. "But when you do a genealogy search ... to find these people, to understand how they lived and how they died and how oppressed they were, the reality hits you." And I'm asking, "Well, that's weird. Did his father own him?" ... I mean, how do you explain ... to children that slavery existed in freedom-loving America, No. 1; and No. 2, how do you explain to a child about an enslaved heritage shrouded in miscegenation? It's not an easy thing to do. There were pages tucked inside the Bible that had birth records, death records, marriage records. And I think the earliest inscription went to the late 1700s. But as I reviewed these records, there were names — and many of them familiar, and there were many unknown. And I remember skimming this one page in there; this name William Grimes jumped out at me with the death record of Aug. 21, 1865. And I just completely lost it. ... And all I could do was weep. It was amazing to see such old records where the pages had separated from the original spine of the book, where they were so discolored, fragile, blotted and stained. I mean it was a true testimony of a legacy in this country, and to connect myself to it made me realize how deep our roots went in America. What comes to mind for me is this: Dr. King's dream, "I Have a Dream." And he talks about how he would love to see the day when the descendants of slave owners and those that were enslaved come together and talk about it. He talks about sitting down at the table of brotherhood and all of us, in my mind, sharing, with empathy, each other's struggle. And then understanding in the struggle what our commonalities are and how we can move forward in building the true ideal of America.